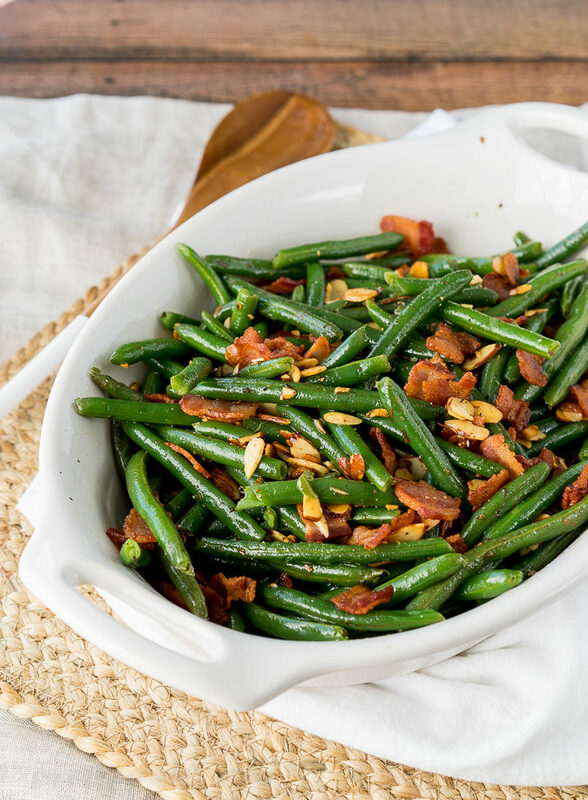 These Southern Green Beans with Bacon are tender and perfectly seasoned, making them the ultimate side dish recipe! 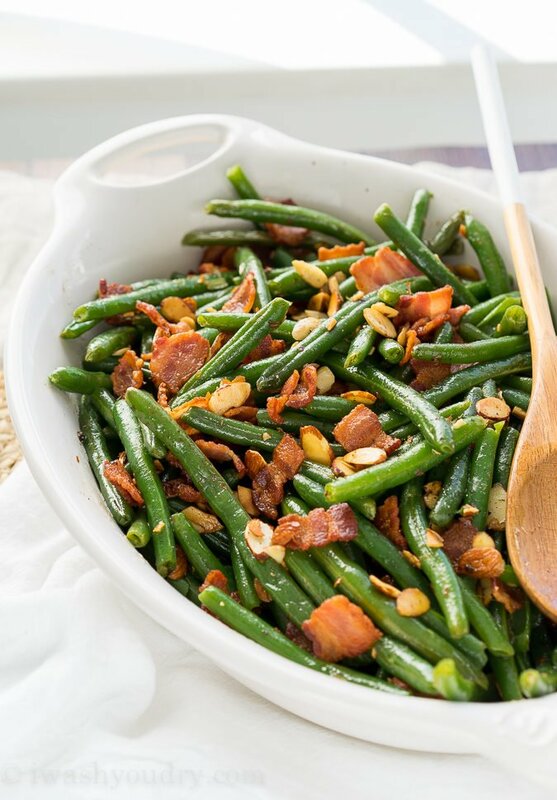 I’ve fallen head over heels for these Southern Green Beans with Bacon and Almonds! 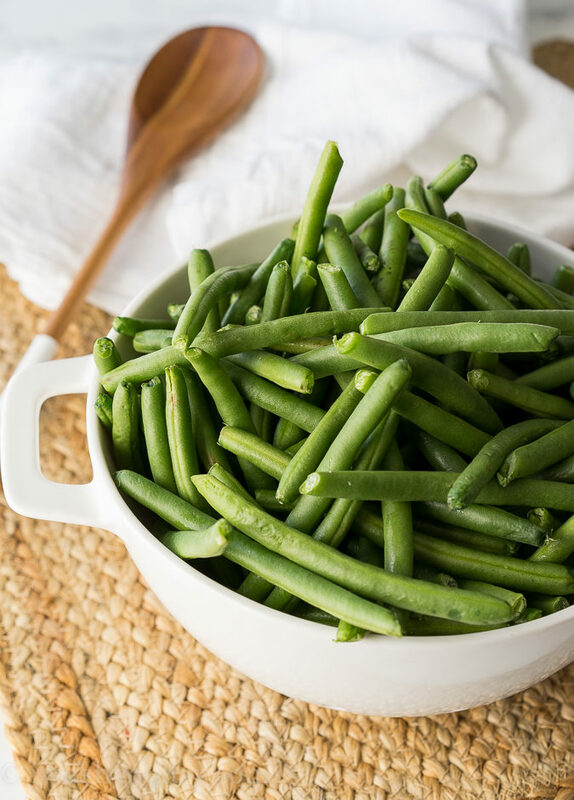 My mind is already focusing on Thanksgiving and Christmas food, and these green beans are definitely making an appearance at both occasions. I seriously can’t believe we’re already into November. Where did the year go?! These last few months of the year are always my favorite though. 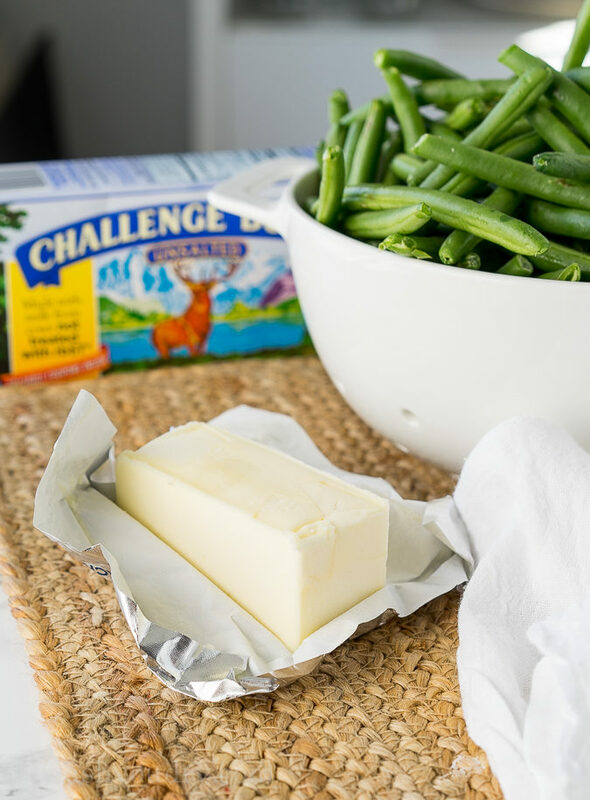 I love the season of giving, so I’m super thrilled to be partnering once again with Challenge Dairy for another generous “Pin a Recipe, Feed a Child” campaign. Challenge Dairy and UNICEF are once again joining forces to fight and raise awareness of the childhood malnutrition crisis, which results in the unnecessary loss of nearly three million young lives a year. Starting TODAY through December 31, 2016, every recipe pinned from Challenge Butter’s “2016 Pin a Recipe, Feed a Child” Pinterest Board will result in a meal being donated to UNICEF for a child in need. It’s really that simple! You can help a child in need by simply saving a recipe from THIS PINTEREST BOARD. Save as many as you can! 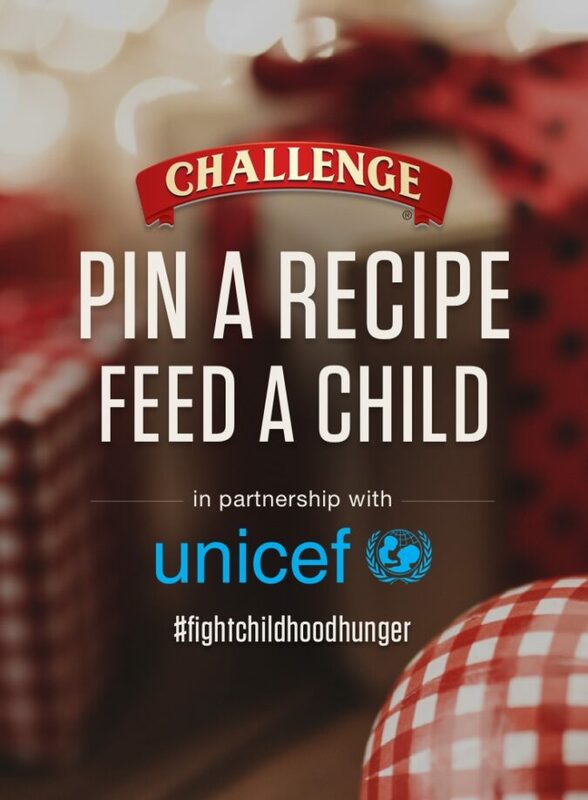 Challenge has pledged to provide UNICEF up to 75,000 meals! Let’s make it happen this year! Isn’t it such a great feeling to be able to give? Speaking of which, this recipe is my gift to you! I seriously can’t tell you how much I love these beans. Fresh green beans are me and my family’s absolute favorite. 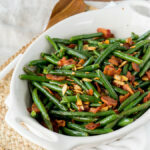 Green Bean Casserole is fantastic, but there needs to be room on your table for these Southern Green Beans with Bacon too. Trust me! 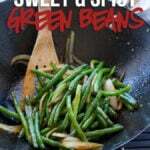 The green beans are cooked until tender in a combination of bacon grease, chicken broth and seasonings. Then they’re quickly drained and set aside, to prepare the browned butter – toasted almonds. 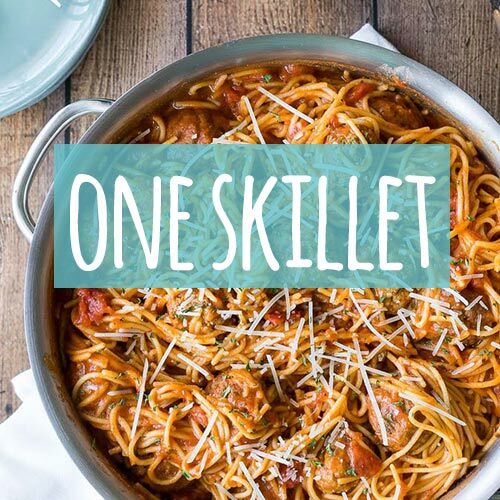 This really is the key to making this dish go from good to AMAZING! The browned butter brings the dish to a completely new level. Once the butter is browned and the almonds are toasted, drop the green beans and bacon back in and get them nice and toasted too. 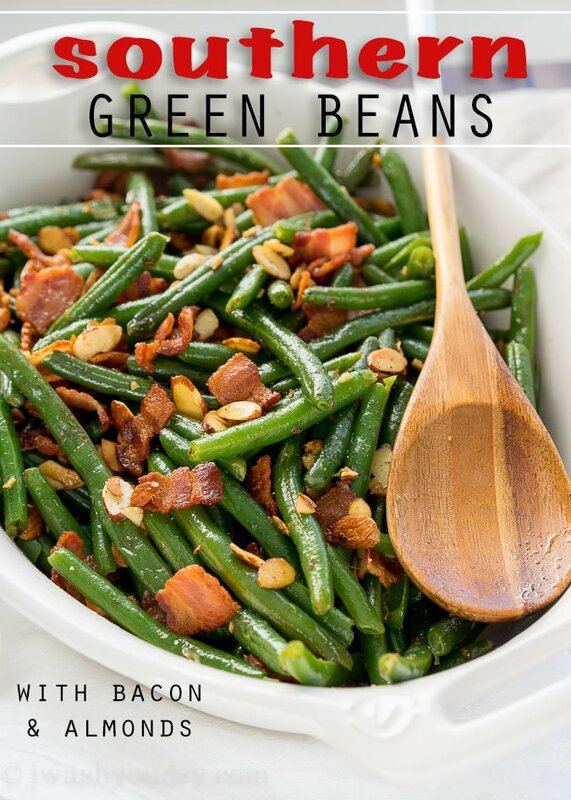 You’ll never want to eat green beans any other way again. 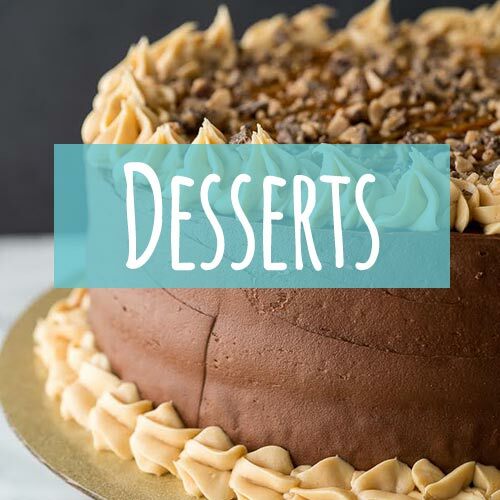 You know you’re going to want to save this recipe, so make sure you click HERE to save it, and check out all of the other amazing recipes there too! If you’d like to donate directly to UNICEF, you can do that HERE. Cook the bacon in a large dutch oven or pot until crisp then drain on a paper towel lined plate. Cut into pieces. Reserve the grease and add the beans, water, broth, garlic powder, seasoning salt and pepper to the pot. 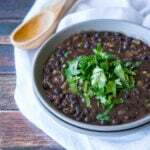 Bring the mixture to a boil and then simmer for 20 to 30 minutes, until the beans are tender. Drain the beans into a strainer and return the pot to the stove top. 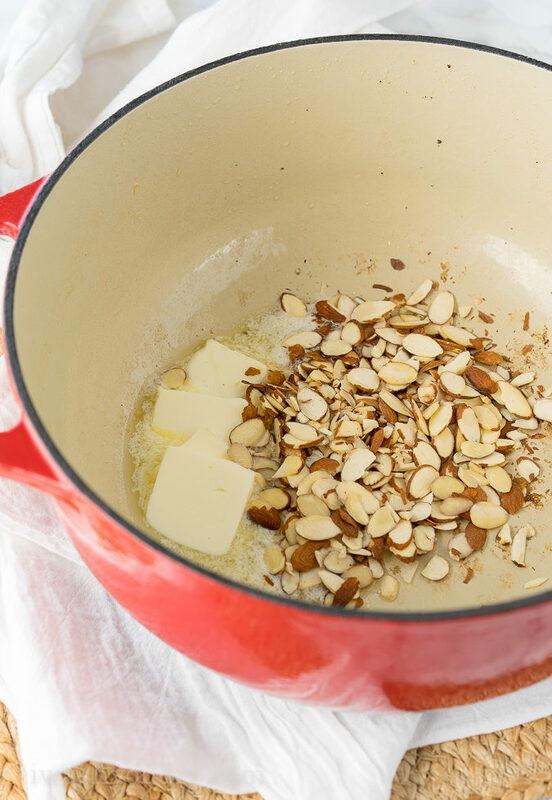 Add the butter and almonds to the pot and cook over medium heat, swirling the pot, until the butter becomes golden brown and gives off a nutty aroma. Stir the beans and bacon into the butter and heat through, making sure to coat everything with the butter. Serve warm. Enjoy! 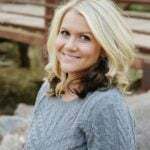 disclaimer – This post is in partnership with Challenge Dairy. All thoughts and opinions are 100% my own. Thank you for supporting the brands that help make I Wash You Dry possible. Such a great idea! Bacon makes everything better!! I always had almonds to my green beans! But WHY HAVE I NEVER ADDED BACON?! This beans are blowing my mind! This looks absolutely AMAZING. 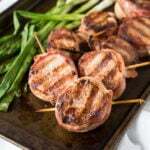 Bacon with everything, but especially green beans!! The perfect thanksgiving side dish. Simmer beans with or without lid on?